You can easily understand chefs when their passion overwhelms them. 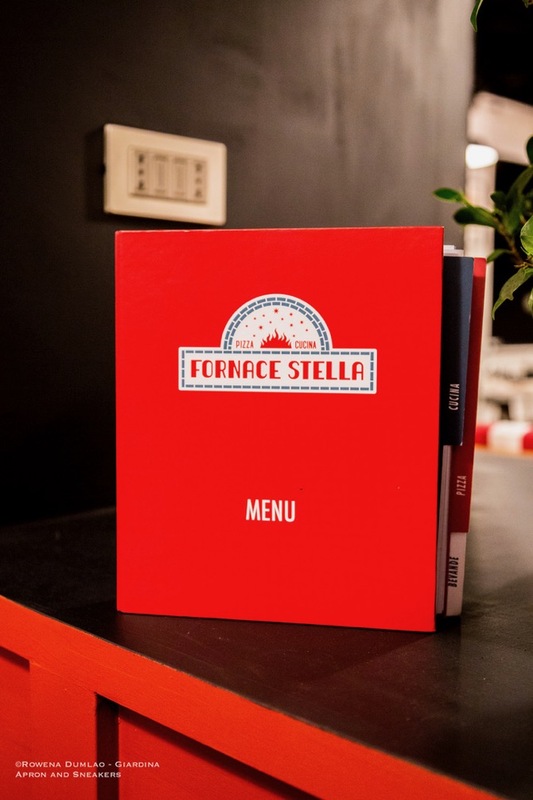 They have an infectious enthusiasm that they transmit through their impeccable dishes. Perfect little details, rich combinations of colors, exploration on novel integration of flavors, playing with consistencies. 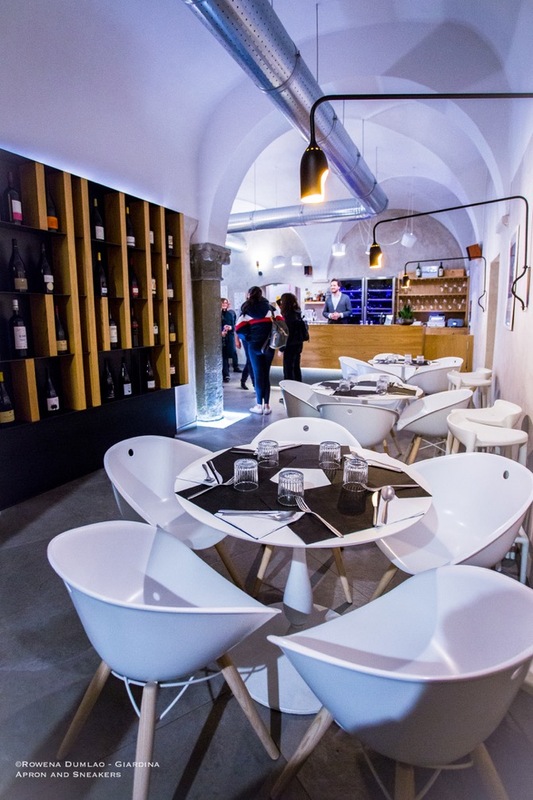 The kitchen of La Fornarina has the unexpected side that Chef Simone Mancini reveals with his stimulating creations. Putting his respect on the seasonality of the ingredients, he brings forth a kitchen with vibrant tastes at the peak of their maturation. 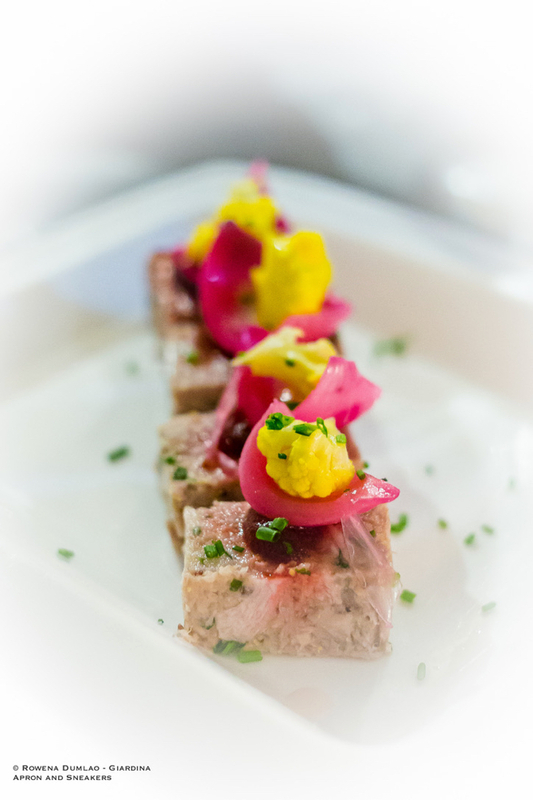 He has progressed with his professional career in some of the kitchens of the restaurants in Tivoli. There are 1,020 hectares of land out of 8,500 hectares in Frascati cultivated with vineyards destined for the production of wines for Frascati DOC and DOCG. This area includes the municipalities of Frascati, Grottaferrata, Monteporzio Catone, VII Municipality of Rome and a portion of Montecompatri. The territory's general exposure is oriented towards west and northwest, facing towards the Tyrrhenian Sea, giving it a sea breeze that circumvents the development of humidity. The geography is composed of crater lakes and hilly areas with predominantly permeable volcanic soils caused by the eruptions of the Volcano Laziale from the Lower Paleolithic (600,000 years ago) to Upper Paleolithic (25,000 years ago) periods. 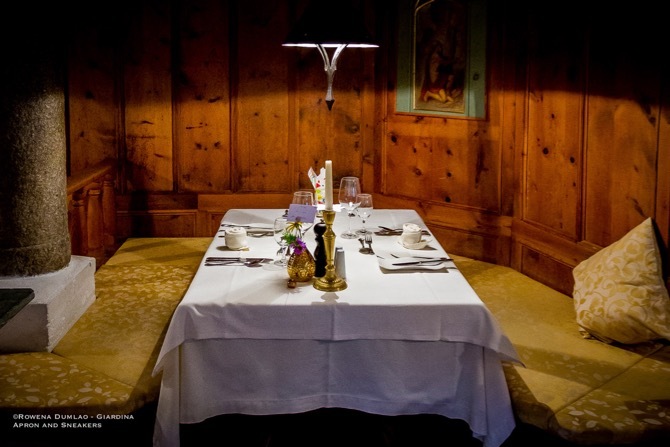 "The ibex, our heraldic crest, returns to make a fine show of itself in the logo, confirming once again our solid bond with the family and origins, while the new Rottensteiner bottles, specially created for us and at our exclusive disposal for 10 years, they intend to express uniqueness and elegance. The renewed design and review of our labels are the most tangible result of this project," declares Hannes Rottensteiner, Rottensteiner Winery's third generation. Old Roman structures can give unexpected labyrinths of rooms and gardens in their internal spaces. Kolbe Hotel is among one of them. As you walk through its front door and cross the lobby, another door opens to a peaceful oasis. 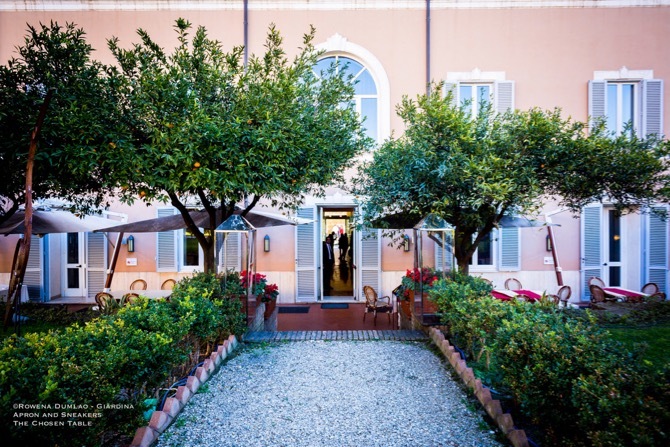 A garden with centuries-old olive trees, citrus trees and a manicured lawn that surround Unique Al Palatino Garden Restaurant greets its guests. In the bustling city of Rome, it's something that's quite unexpected. 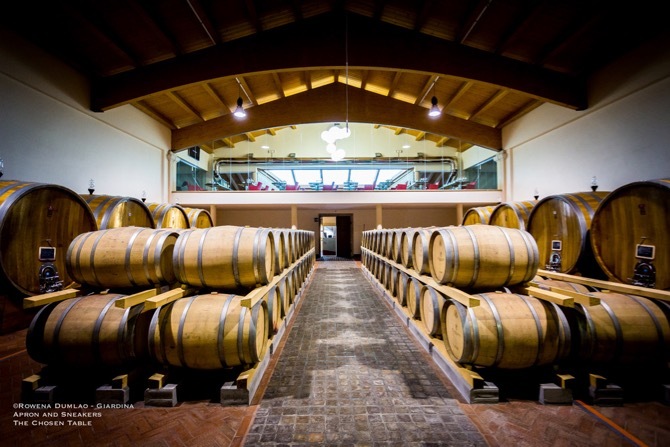 Fabrizio Pratesi is the result of a wine and oil making activity of the Pratesi family for five generations. The vineyards and winery are located in Lolocco, in the heart of Carmignano which has bought by Pietro Pratesi in 1875. Carmignano, about 15 kilometers southwest of Florence, is one of the lesser-known DOCG wine regions that's located in the Tuscany region and centered on the town of Carmignano. It is located in front and far from the peaks of Monte Albano which guarantees perfect sun exposure, sitting on a hilly area and with the best altitudes of 150 to 230 meters above sea level. The soil is dominantly stony with the presence of clay makes the wines complex with great structure and elegance. Italian cheese, how much do we love them? 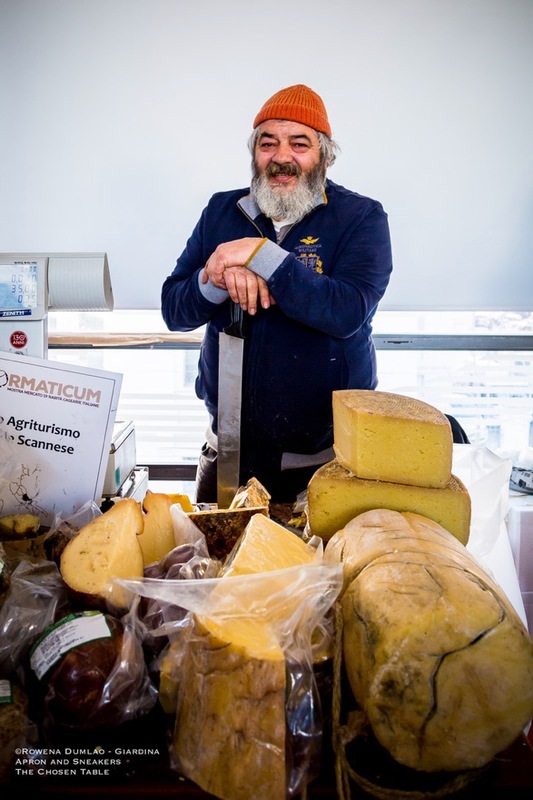 The first edition of Formaticum, the market exhibition dedicated to the Italian cheese rarities kicked off in Rome on the weekend of 23 and 24 February 2019 at the Palazzo WeGil in Trastevere. The event was sponsored by the Lazio Region and conceived by La Pecora Nera, a publishing house that's been active for sixteen years in the world of food and wine, and Vincenzo Mancino, an expert connoisseur of cheese production who's committed to the enhancement and protection of small agricultural activities. 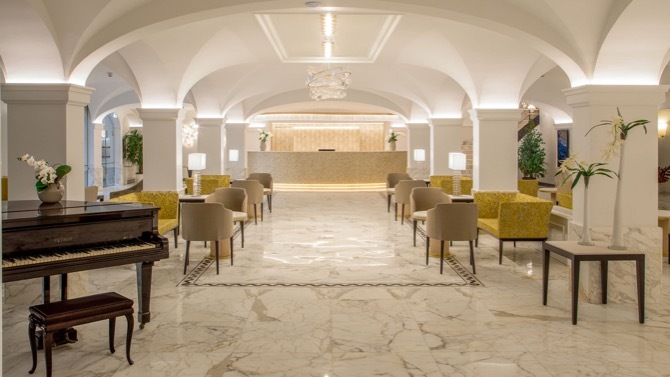 Walking inside a discrete door of Hotel Vilòn along a quiet cobblestone alley in the heart of Rome, a different kind of luxury greets you. 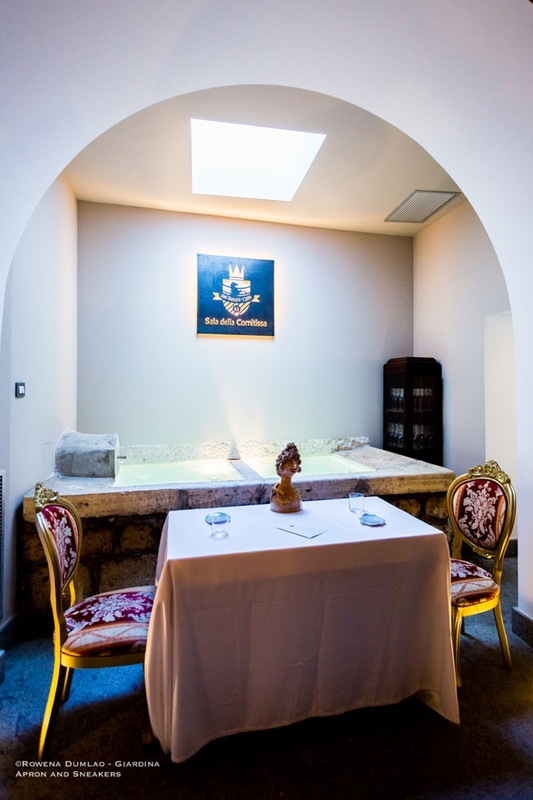 Hotel Vilòn is a charming 5-star luxury hotel which is a member of the Small Luxury Hotel of the World. Director Giorgia Tozzi makes sure that the emotion in staying at the hotel is totally enthralling, where guests feel good in the enchanting atmosphere. It is inside Palazza Borghese after all, a historical 16th century palace belonging to the noble Borghese family. Referred to as the house annexed to the palace that the princes rented from the beginning of the 17th century which was then entrusted to the French nuns, Daughters of the Cross, to be converted into the First School for Poor Girls by Princess Adelaide. 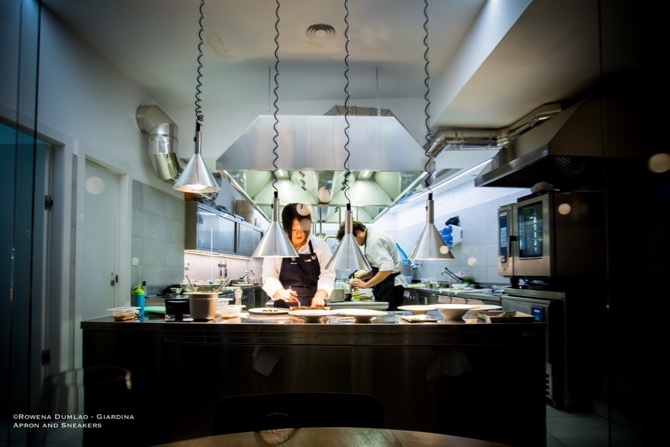 Just in her twenties, Chef Stella Shi has trod determinedly on a gastronomic road less traveled by others. Born and raised in Italy to Chinese parents who originated in Shanghai with a formal education that took her to a much different route, her love for cooking overpowered her planned path to her law school education. Thus, the sudden trampoline to culinary studies. 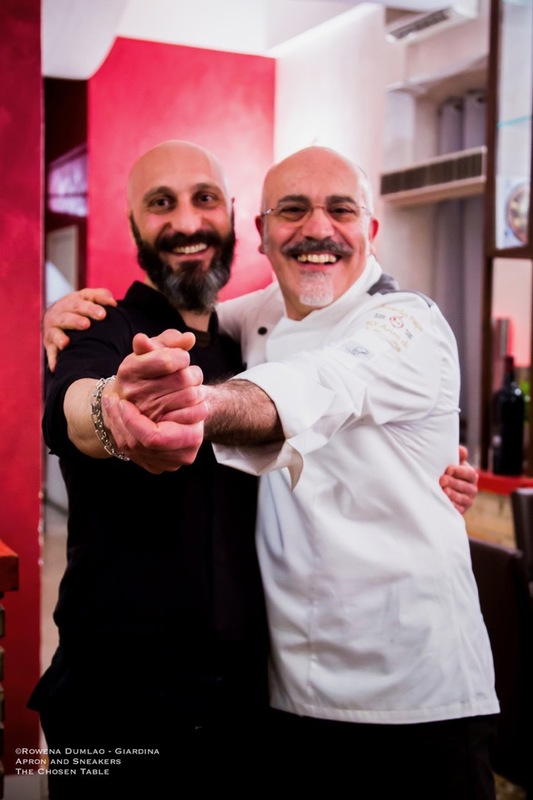 Her destination: Alma Scuola Internazionale di Cucina Italiana in Colorno, Italy, one of the best culinary schools in the country guided by the late Gualtiero Marchese. 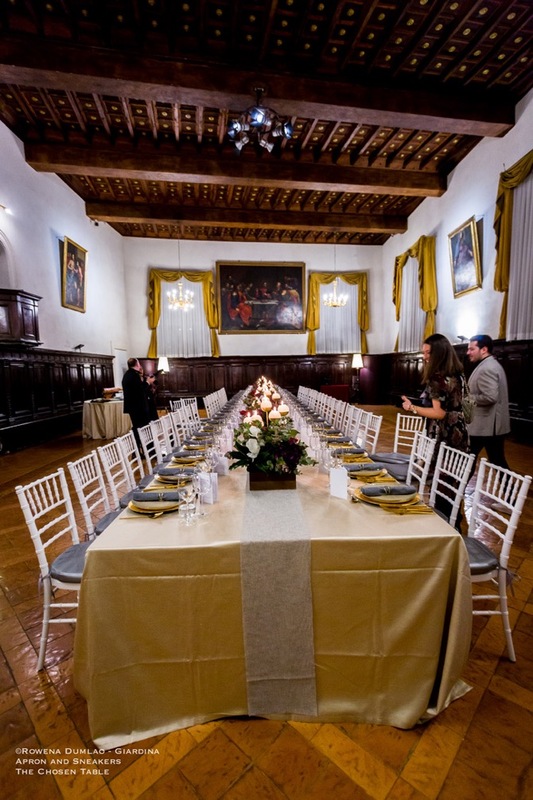 After formalizing her basic and higher culinary studies in Alma, the professional training in the kitchens of restaurants took her to another part of Italy at La Locanda di Poero and La Peca di Lonigo. 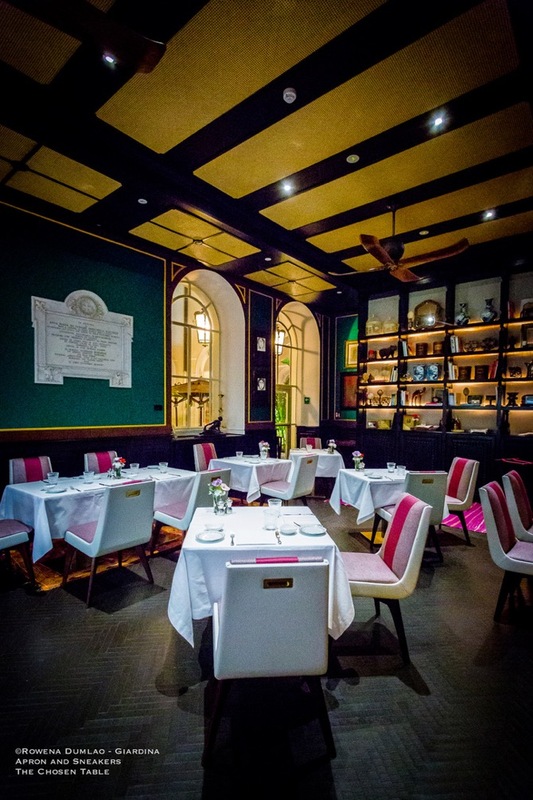 London came next at Le Gavroche of Michel Roux then Hongkong for modern Chinese cuisine. 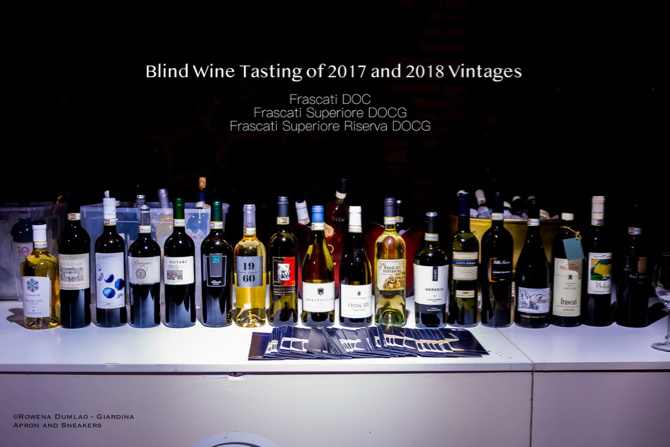 Thirty-year old wines that express youth and harmony bearing all three types of aromas (varietal, secondary and tertiary) in the palate don't come around often. Needless to say, I was completely impressed. The Vino Nobile di Montepulciano Riserva DOCG 1989 of Carpineto Winery came from a 3 out of 5 star vintage, a middle range climatic quality but with the aid of good vinification, the wine came out spectacularly in the evolution as it aged. Vibrant in appearance and important in its structure, in its garnet shade, with the presence of floral aromas of violet, dark stone fruits, licorice, spices and dried tobacco and leaves the palate with fullness and persistence of its flavors. 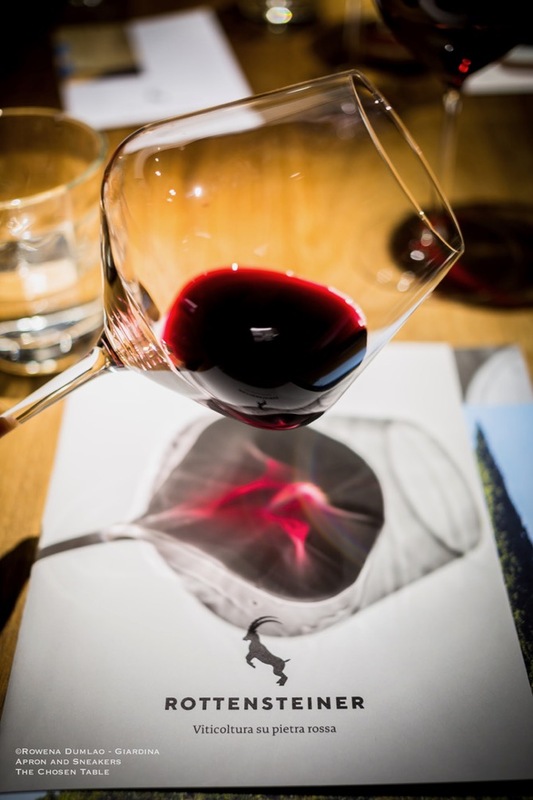 Like the 1989 vintage, the 1995 vintage of the same wine expressed itself more beautifully. 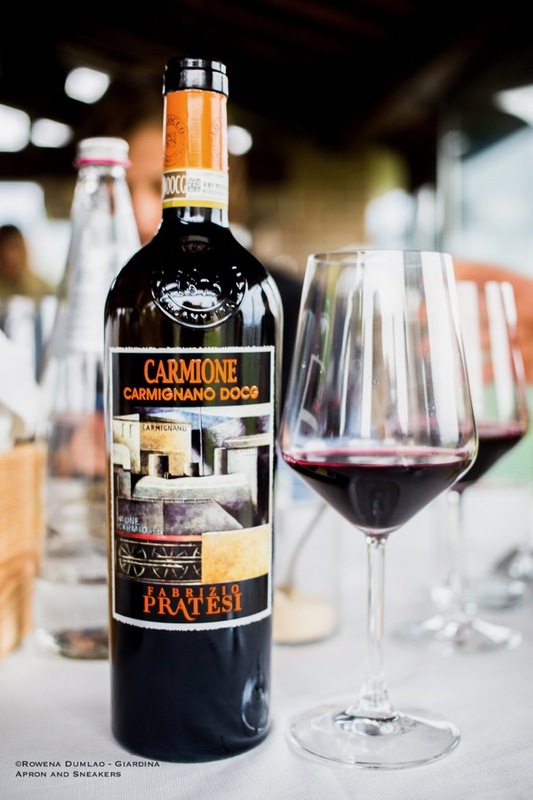 Compact, full-bodied with a vibrant garnet color, this wine came out from a perfect 5 star vintage and with the aid of its vinification process, the youthful characteristics still come out after being kept for 26 years. A graceful wine in the nose and palate with ample complexities in the aromas and flavors, smooth tannins and great structure. These two wines perfectly epitomize the philosophy of Carpineto, known for their aging ability and born to excel in the glass. 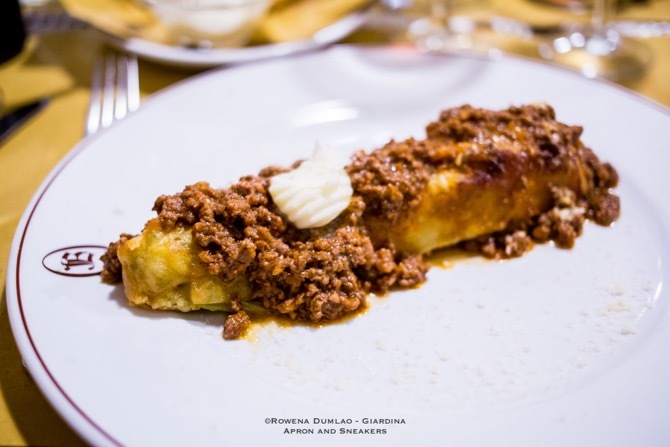 On 22 February, the second edition of The Grand Blogger Dinner took place again in Rome, Italy. 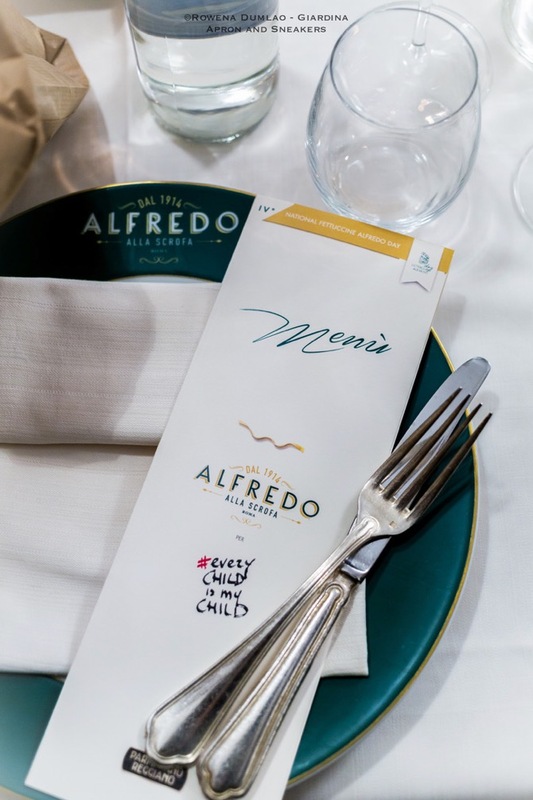 The event, a part of the European tour in some key capitals organized by Alwin Pascal Jager, owner and Marketing Manager of Mr. Goodiebag from the Netherlands, was to put together 45 food and lifestyle bloggers of Rome, serving five courses, each sponsored by a food brand. The night was a distinctive way to boost the social media presence of the eight food and interior specialist brands that provided for the night. There's a bright red door at Via Zara, 27 that opens to an enchanting room. 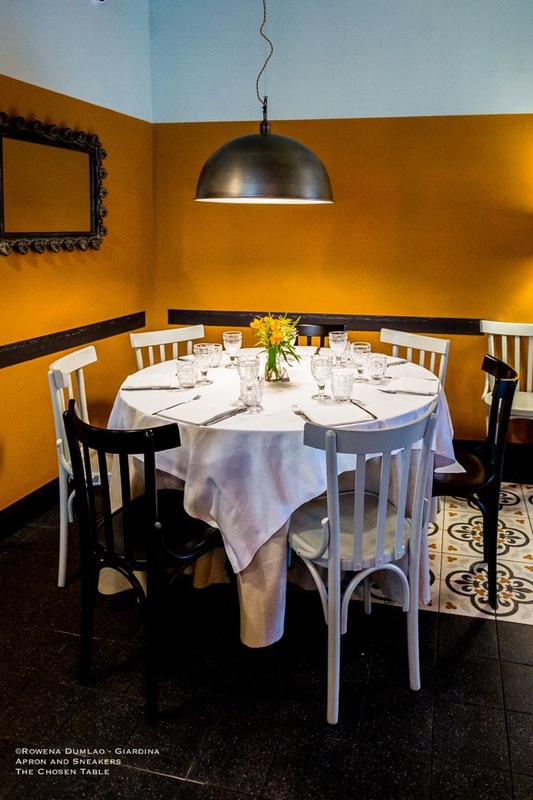 With just 7 small tables that seat 20 guests at a time, an enogastronomic journey at Ristorante 1978 is one that can't easily be forgotten. With just three ingredients, freshly-made fettuccine, butter and Parmigiano Reggiano, and with swift movements of amalgamating them, the first Fettuccine Alfredo was made in 1914. Six years later, in 1920, newly-married Hollywood stars Douglas Fairbanks and Mary Pickford dining at Ristorante Alfredo alla Scrofa were served the Fettuccine Alfredo. The combination of soft ribbonlike pasta made with fresh eggs, good quality butter and Parmigiano Reggiano resulted yet in another perfect pasta dish that the actors raved about until they went back to the the U.S. 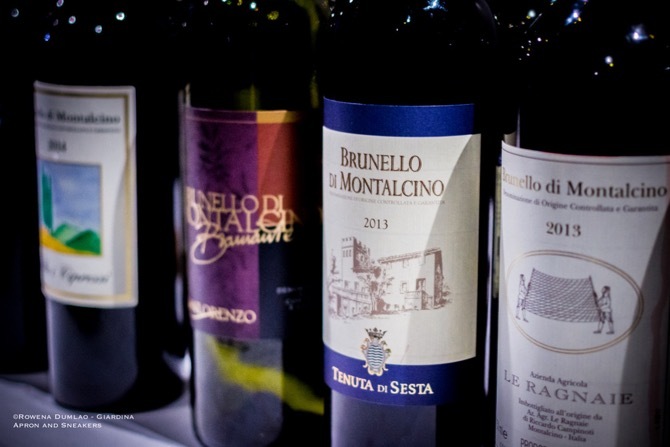 The year 2015 had been outstanding, rated five stars out of five by the Consorzio Tutela Vini Montefalco (Consortium for the Protection of the Wines of Montefalco). The winter was rainy, while spring was sunny and windy, and summer was dry, warm and sunny. It was an ideal climatic condition for the growth of the grape vines with just enough rain showers at the last phase of maturation and harvest that allowed to get balanced and perfectly ripe grapes. 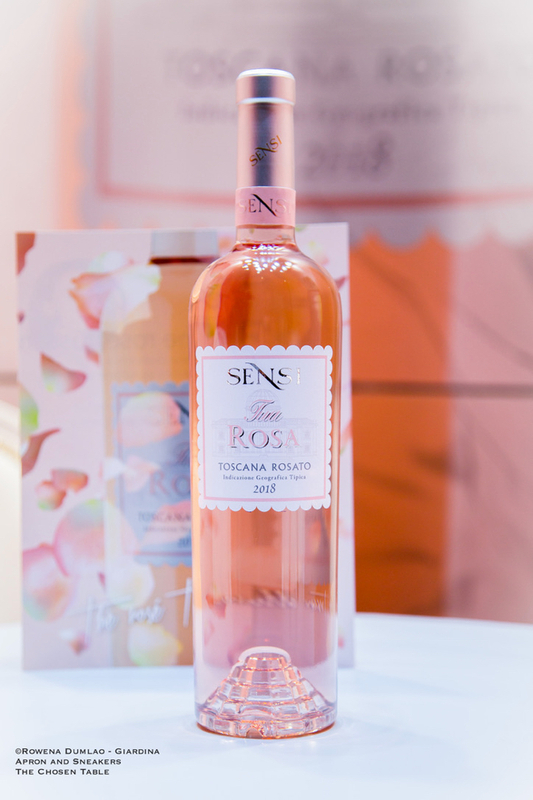 With the healthy grapes having reached optimum phenolic maturity and excellent concentration of sugars, the wines produced in this vintage had shown their best with regards to aromatic level, balance, structure and complexity. It is also good to know that Sagrantino is one of the grape varieties that has one of the highest content of polyphenols. In a nutshell, expect Montefalco Sagrantino DOCG 2015 to be an excellent vintage to put in your glass or better yet, to stock in your cellar! 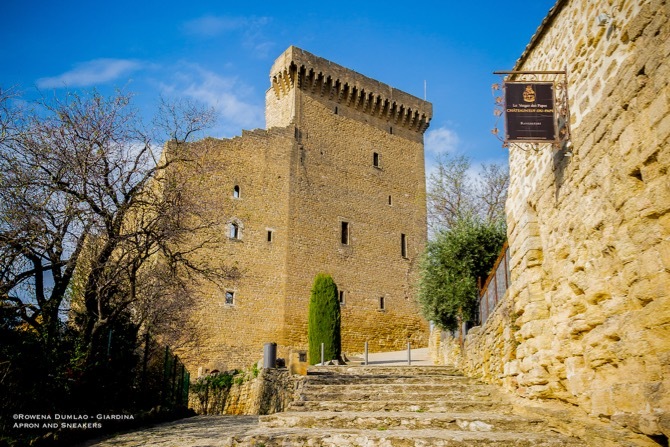 Le Verger des Papes stands on a historical position just next to the 14th century castle of Chateauneuf-du-Pape, the summer residence of the popes during the Avignon Papacy. 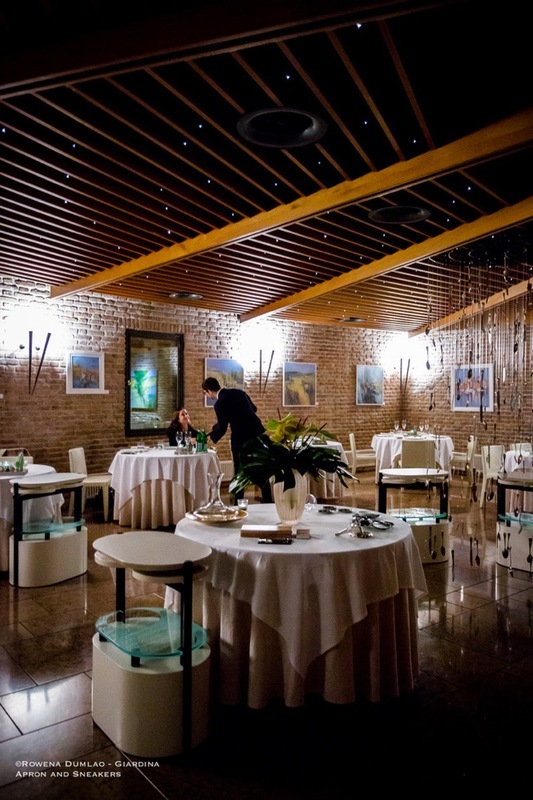 The restaurant has a panoramic terrace shaded with trees where tables are laid out during the warm months. Overlooking the top of the village, it gives a picturesque view of the rooftops of the village, rows of vineyards, Mount Ventoux, Avignon and the Palais des Papes. 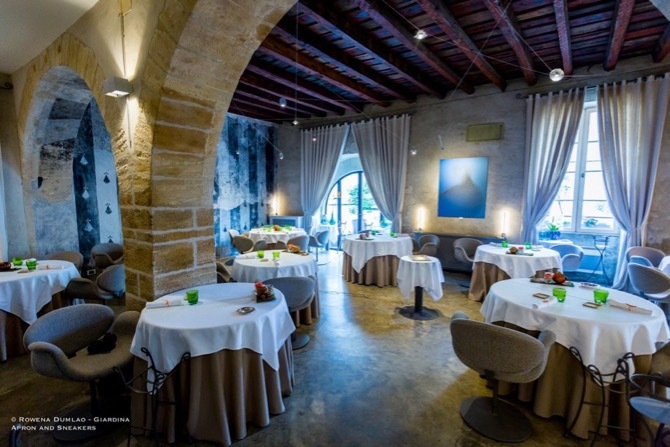 For dining, indeed it boasts a great vantage point in seeing everything around Chateauneuf-du-Pape. Châteauneuf-du-Pape is small village that lies 12 kilometers north of Avignon in southeastern France with just over 2,000 of population. Its popularity is attached to the red wine production of Châteauneuf-du-Pape Appellation d'Origine Contrôlée (AOC) and in the medieval period, the castle that sits above the village that was built for the popes who have resided in in the 14th century in nearby Avignon after moving away from Rome. The opening of a traditional Japanese pastry shop finally completes the circle of one of the most favored cuisine in the capital. 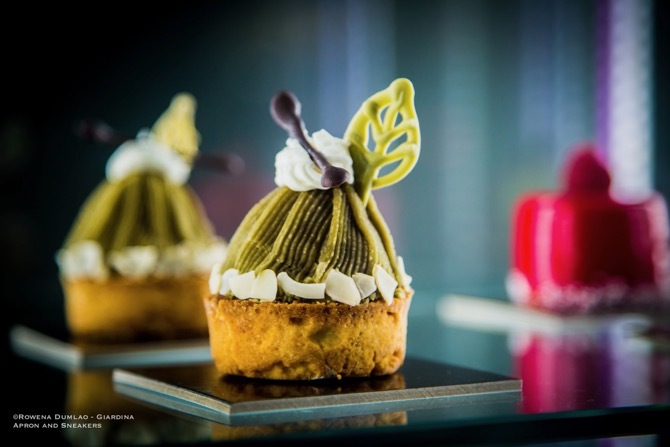 Hiromi Cake was opened by Pastry Chef Hiromi in the Prati area of Rome where she maintains a laboratory for making yogashi, sweets of foreign origin and wagashi, the traditional Japanese sweets that are best enjoyed accompanied with a cup of green tea. Avignon, a UNESCO World Heritage Site, is a dramatic city to explore with a rich history to reveal as you take every single step in its cobblestone roads. Between 1309 to 1377, during the Avignon Papacy when the popes moved away from Rome, seven successive popes resided in the Palais des Papes. Even after the papacy moved back to Rome, the city remained under the papal control until late 18th century when it finally became united with the rest of France after the French Revolution. 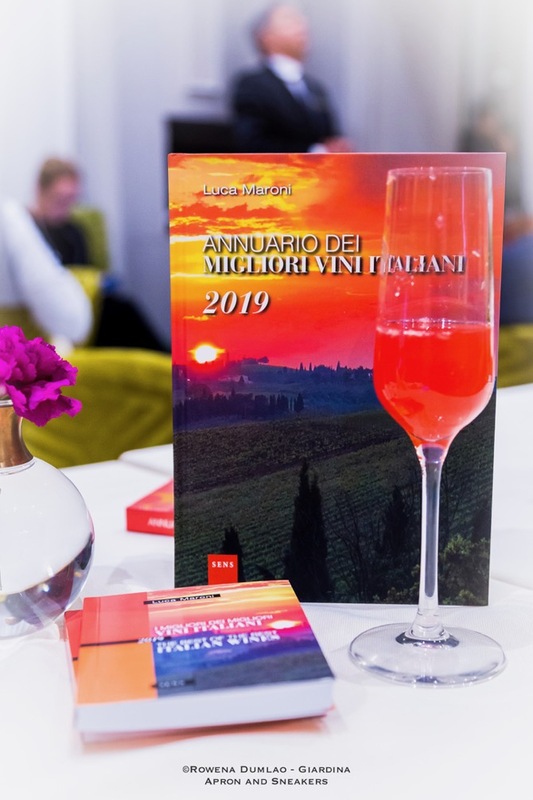 On 24 January 2019 at the new 5-star luxury Elizabeth Unique Hotel in Rome, Italy, the preview of the upcoming wine event of Luca Maroni, I Migliori Vini Italiani (The Best Italian Wines) and the presentation of his book Annuario dei Migliori Vini Italiani 2019 (Yearbook of the Best Italian Wines) took place. 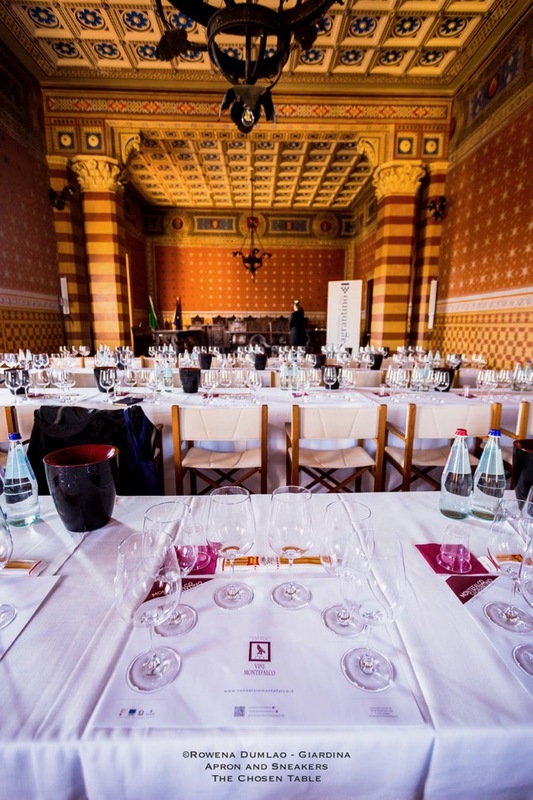 The 2019 edition of Luca Maroni's I Migliori Vini Italiani (The Best Italian Wines) will be held on 14 to 17 February 2019 at the Salone delle Fontane in th E.U.R. zone of Rome. Cheerful green, a delightful color that nature has bestowed the hills of Susegana, just a few steps from Conegliano in Treviso. This ebullient color portrays the picturesque landscape of Prosecco with the neatly combed rows of vineyards of Glera. 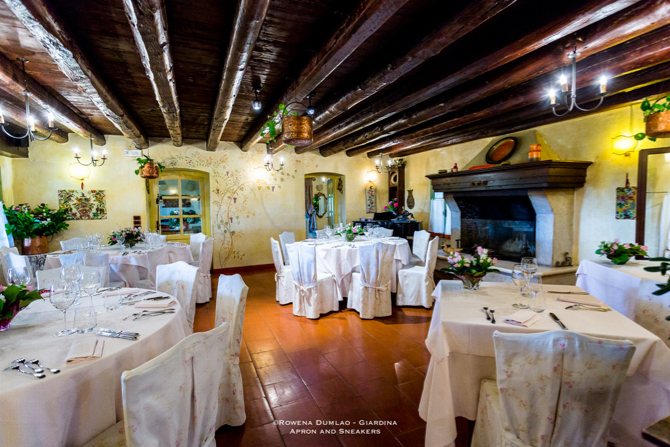 In the midst of this stunning scenery is Ristorante Verdegaio which is aptly named for the vibrant color that surrounds it. Oderzo is a beautiful town in Treviso (Veneto) in the northern part of Italy, and about 60 kilometers northeast of Venice. It is in the heart of the Venetian plains, traversed by the Monticano River, halfway between the Dolomite Mountains and the Adriatic Sea. Historically, Opitergium, its ancient Latin name, played an important role in the ancient Roman Empire, leaving the center of the town rich with archaeological ruins from its foundation in 1100 B.C. 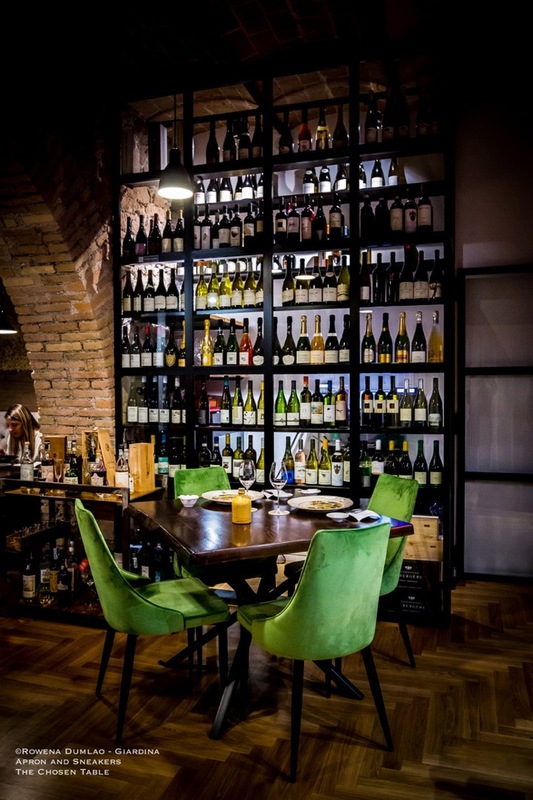 The tastings of wines don't have to confine us in brightly-lit rooms with white walls while attending to quarter-filled glasses and scribbling of analyses in notebooks. Wine tasting is about relishing the precious alcoholic drink that has evolved from fruit to juice to wine, given by nature and perfected by the hands and minds of the people working behind the bottles. 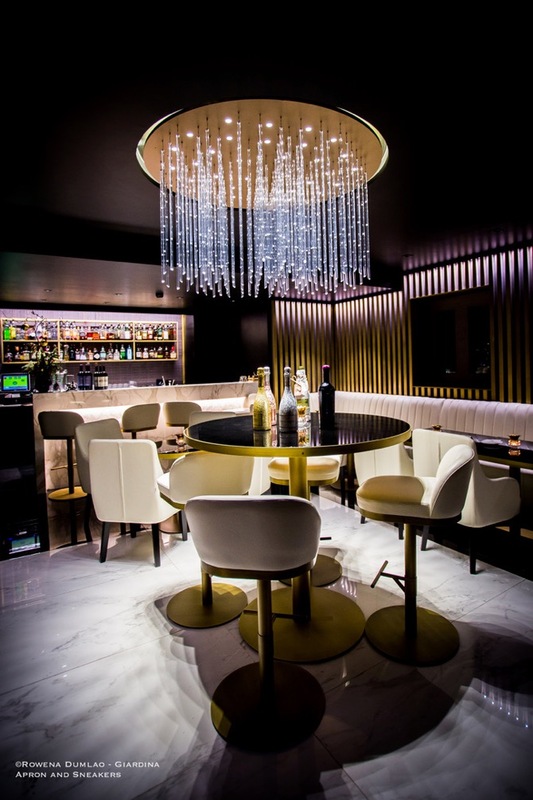 It has its own sense of beauty that has to be savored in an equally aesthetic ambience. 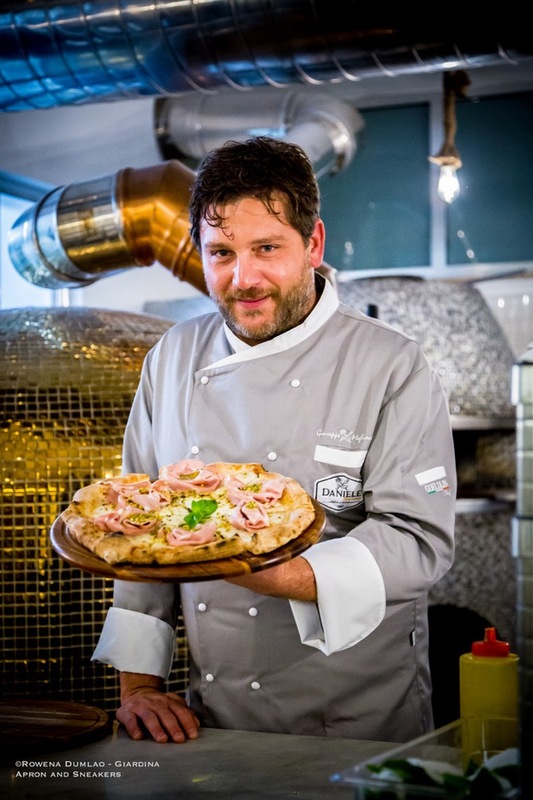 Neapolitan by origin and having grown in the world of pizzas, Giuseppe's recollections of his childhood were breathing flour and dipping his hands in the dough in his grandmother's pizzeria in Naples. 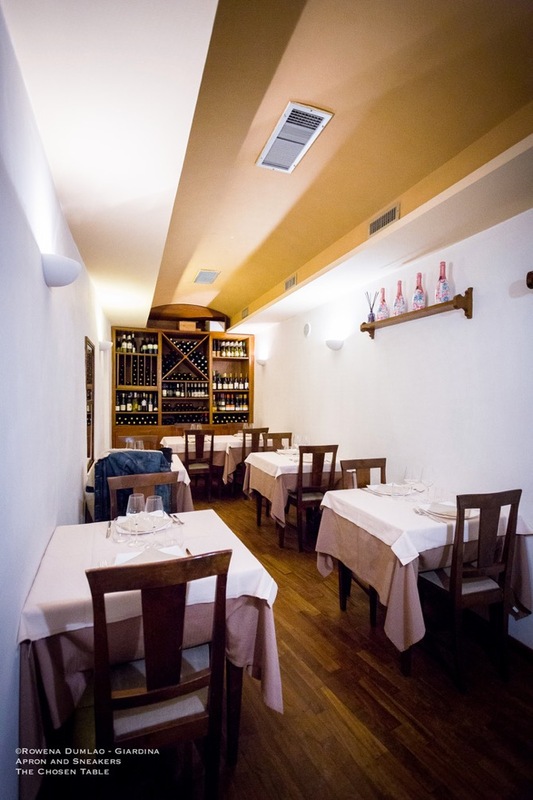 Opened in 1965 in Naples, Anna Daniele (thus the name of the pizzeria), followed her passion of frying pizzas (and we know that they are in their best in Naples where they originated from). It was Anna from whom Giuseppe inherited the "pizza gene" that made him into a great pizza maker today. 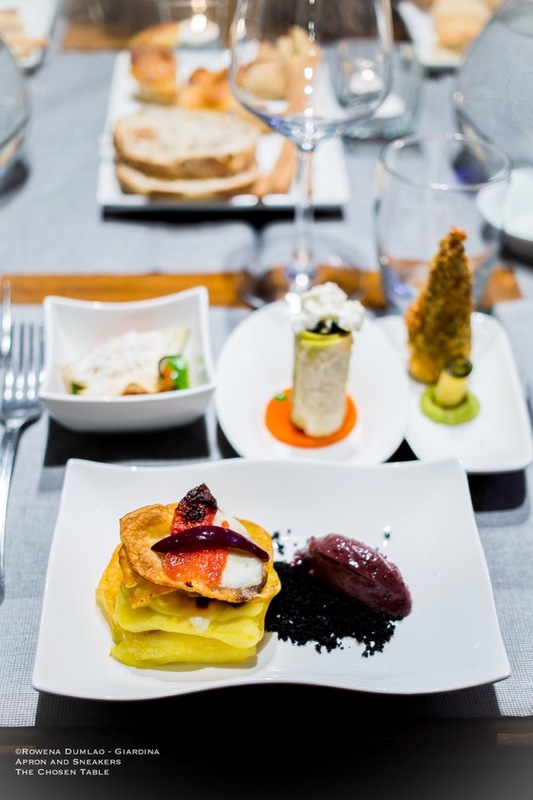 Truffles, foie gras, Mont Ventoux meat, exceptional French wines, what else can you ask forin a French restaurant? 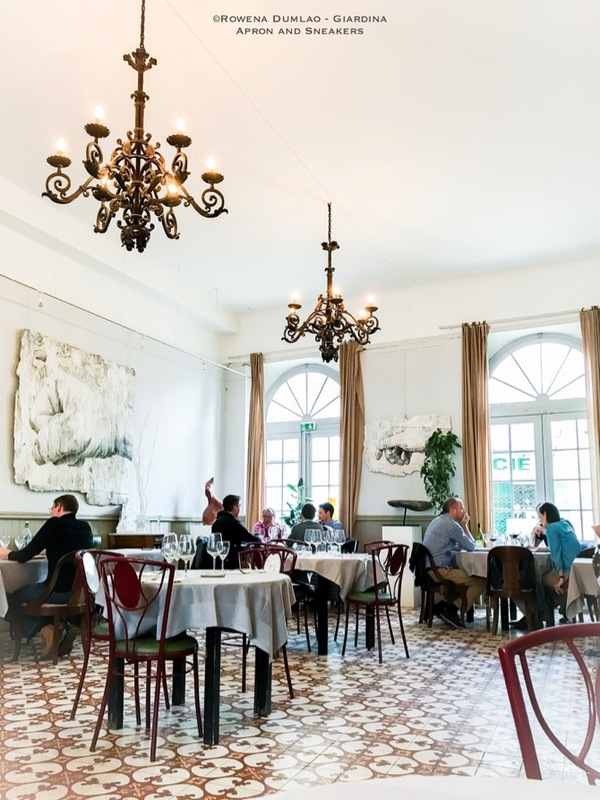 Chez Serge is one of the best and most popular restaurants in Carpentras, a town in the Vaucluse department in the Provence-Alpes-Côte d'Azure region (southeastern France). 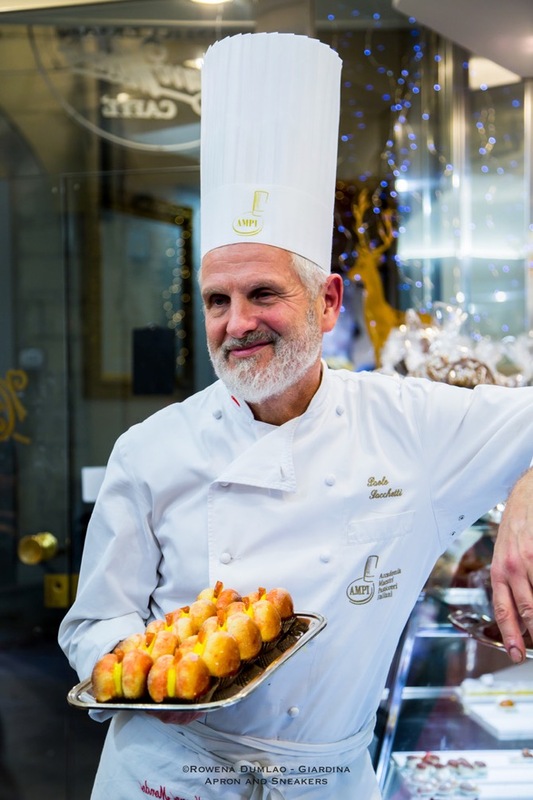 It's a destination for the French gastronomic lovers.